Happy World Toilet Day 2018! The world is not on track to reach Sustainable Development Goal 6 (SDG 6): to ensure availability and sustainable management of sanitation and water for all by 2030. Today, 4.5 billion live without a safe toilet and 892 million people still practise open defecation. The impact of exposure to human faeces on this scale has a devastating impact upon public health, living and working conditions, nutrition, education and economic productivity across the world. 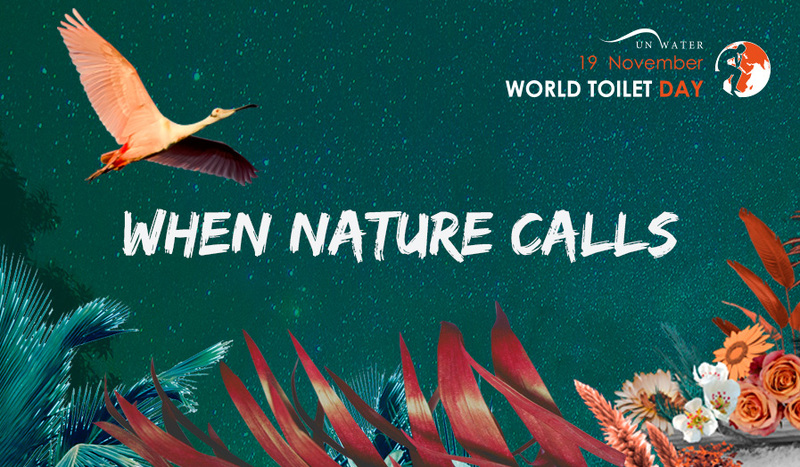 Celebrated under the theme ‘When nature calls’ the World Toilet Day 2018 is about inspiring action to tackle the global sanitation crisis. Access campaign resources, information about actives and events worldwide, stories focusing on Nature-based Solutions, and much more on the World Toilet Day 2018 website.